Think this is just ordinary spaghetti? Guess again! This simple 5-ingredient Apple Spaghetti is a fun and creative dessert that your whole family will love! Our family loves desserts which is why I’m always looking for fun and creative ways to sneak extra fruits and veggies in the girls’s diets. This Apple Spaghetti is made up of four fresh fruits and is presented in the most unique way- spaghetti! 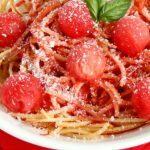 Complete with apple noodles, a strawberry red sauce, and watermelon meatballs, it is sure to encite some giggles as well as ooos and aghhs! Top with white chocolate “Parmesan cheese” shavings to complete the meal. 4. Pour strawberry sauce over apple noodles, top with watermelon balls and grate white chocolate parmesan over top. All you need to make this fun, kid friendly, fruit dessert is five simple ingredients- apples, lemon, strawberries, watermelon, and white chocolate. Simply use a spiralizer to create the zoodles and toss in lemon juice. Puree the strawberries in a blender with lemon juice and pour over the noodles. If you have extra strawberry puree, freeze it in an ice cube tray or Popsicle mold. Serve as a healthy Popsicle or add strawberry puree ice cubes to smoothies or drinks. Maybe even a boozy drink? Make this delicious Apple Noodle Spaghetti for your family soon! Your kids will love this fun twist on dessert and you will love that they’re eating 4 fresh fruits! Love the fall? Me Too! 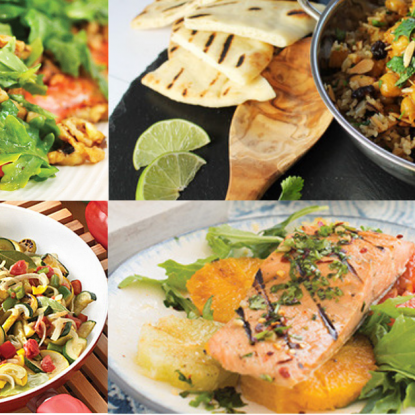 Check out some of my other fall favorites made simple and healthy: Lunchboxes and Tailgating. Have we connected yet? 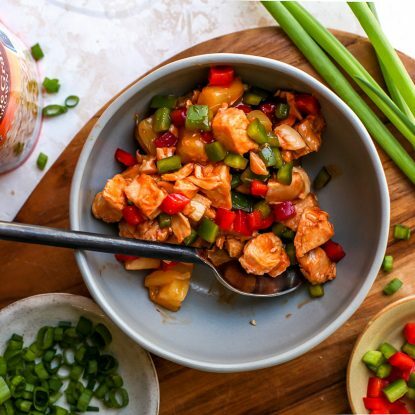 If not, make sure to follow me on Instagram, Facebook, Twitter, Pinterest and YouTube to stay up-to-date with all of my latest recipes, nutrition tips, cooking videos, and family happenings. 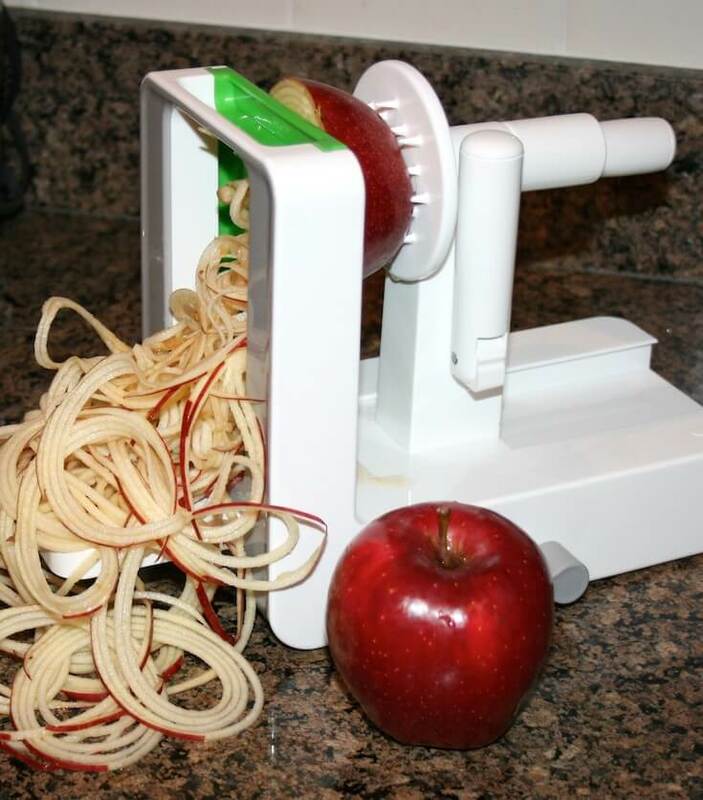 Spiralize 2 apples. Toss in the juice of half of a lemon to prevent browning. Rinse the strawberries and remove the stems. 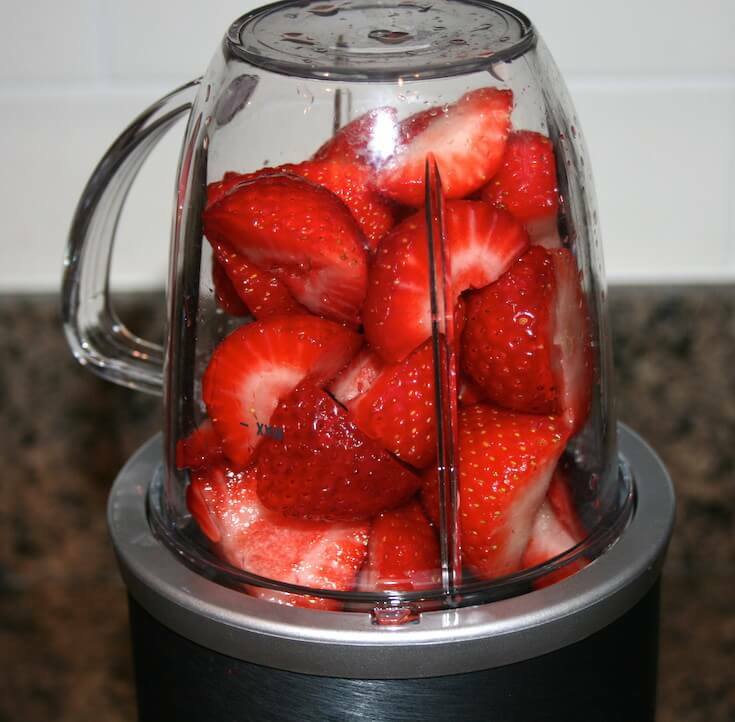 Add strawberries to a high power blender or food processor. Squeeze in the other half of the lemon and blend. 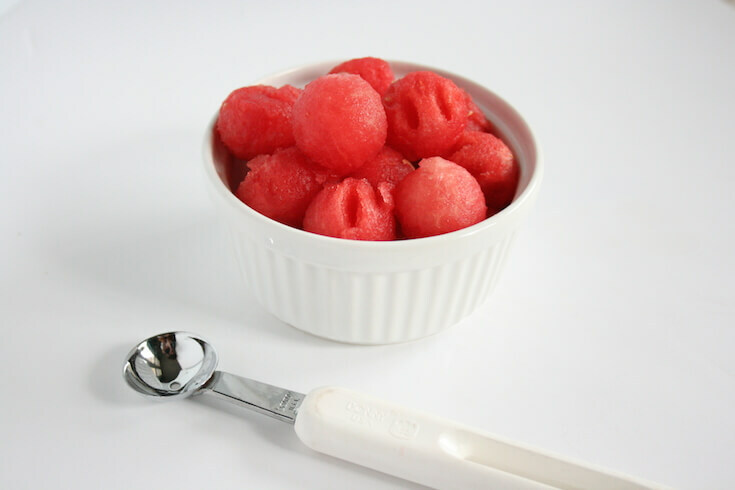 Using a melon baller, create 5-10 balls of watermelon. Assemble your spaghetti by pouring strawberry sauce on top of the apple noodles. Add melon balls. Finely grate white chocolate bark on top of the spaghetti and enjoy! Think this is just ordinary spaghetti? Guess again! This simple 5 ingredient Apple Spaghetti is a fun and creative dessert that your whole family will love! This is amazing! Looks delicious and really reminds me of spaghetti and meatballs! Ahh, this looks so fun and delicious! <3 I love apples! 😀 This is such a perfect summer treat! 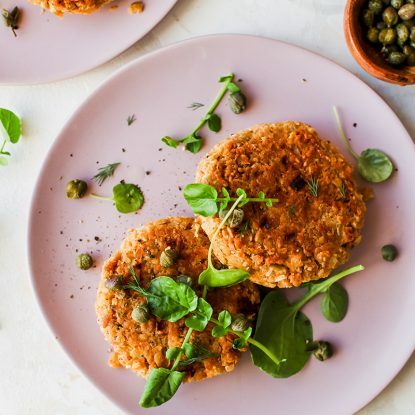 This is one of the coolest recipes I’ve ever seen!! So adorable! What a cute idea– I love it! What a great idea! I’m going to give this a try this weekend. Have fun and let me know how it goes. Video coming soon! Thank you for including me and for sharing!